Cheap and easy to prepare - instant noodles are found to have unhealthy reputation despite the delicious taste per serving! A research on the staple food for kids and young adults found that the consumption links to heart disease and stroke. Researchers at Baylor University and Harvard conducted study on instant noodles nutrition and revealed that frequent consumption could lead to heart related diseases and stroke. The study analyzed more than 10,000 adults in South Korea - the country with the highest instant noodles consumption in the world. Researchers examined participants from 19 to 64 years old - how often they eat instant noodles and their dietary patterns, Harvard School of Public Health reported. The study reveals that instant noodles consumption in women linked to metabolic syndrome. Women who consume instant noodles twice a week reportedly have 68 percent higher risk of metabolic syndrome. Frank B. Hu, a nutritionist at Harvard, claimed that the effect wasn’t noticeable in men due to the biological differences - the fact that women are more sensitive to the effects of sodium and carbohydrates in their post menopausal stage. Metabolic syndrome can lead to high blood sugar levels which cause higher risks of heart related disease and diabetes. Instant noodles are high in almost everything from calories to fat. Since it bears a quite longer shelf life - it is a highly processed food with low nutrition content yet, high in sodium. 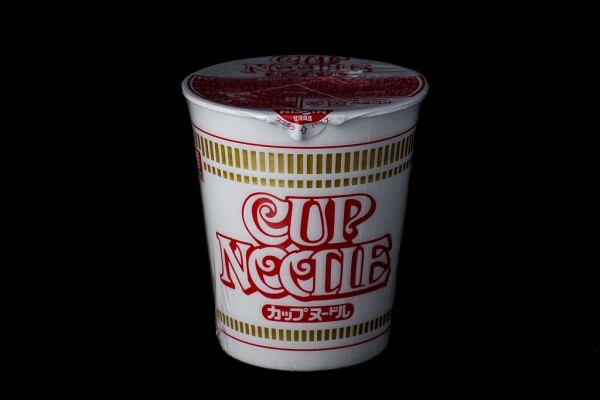 Instant noodles are tight to additives, preservatives and artificial colors. The processed food contributes to many health problems. Scientists suggest portion control when consuming instant noodles and advice to eat once or twice in a month, Washington Post reported. Countries with the highest instant noodles consumptions rate include China, Indonesia, Japan and Vietnam. South Koreans are on top of the rank for the highest instant noodle consumption, GlobalTimes reported. @secondstrike Wow…she’s not a very typical Asian grandmother then, lol. Most Asian grandmothers make great feasts! And yes, I have been getting alerts for the Asian men fashion/style guides. I’ve been getting a lot of alerts from your deleted posts actually. @natalie_ng That’s like my grandmother. That’s all she’d make for us. I was overjoyed as a kid but horrified as an adult. I’ll eat healthy again once I’m done all this writing and stuff. btw, did you get an alert for the Asian men fashion / style guide? I’m curious because I delete posts to hide them when I’m writing / editing and then restore after they’re ready. @natalie_ng It’s a matter of life and death. I eat iNoodles every night. @secondstrike That would be great!!! Do work your magic soon otherwise I’m going to starve on my lazier days, LOL. @natalie_ng My dream is to make junk food healthy one day. I want to live in a world where life extension instant noodles is a thing.